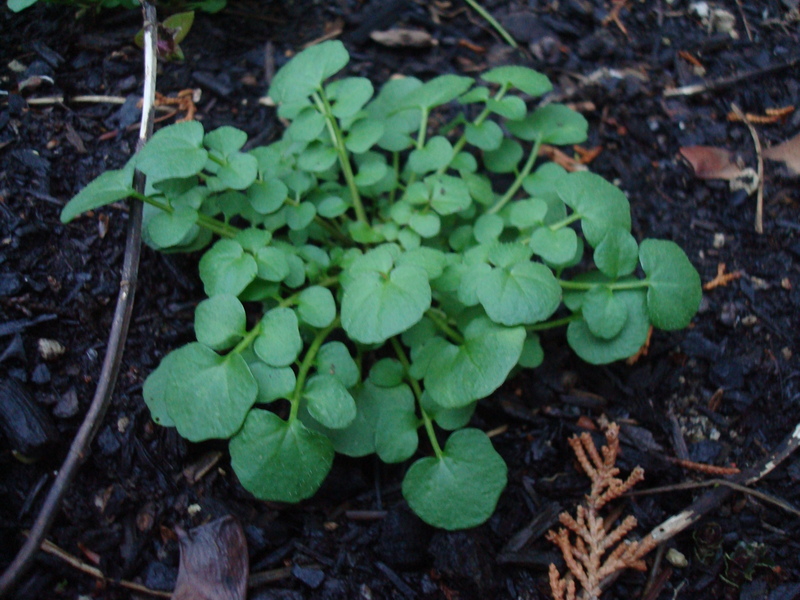 Spicy, watercress-like Little Western Bittercress, growing in clumps in the garden beds. Eat 'Em and Weed: Young Dandelions. I’ve developed this irrepressible urge to forage, though my horse chestnut encounter did leave me a bit chastened. I’m also craving garden-fresh greens in the gray of winter, which has been quite balmy of late here, with young weeds and early crocuses starting to blossom. We’ve had clumps of this clover-like weed erupting in bare non-grassy areas all over the garden. They’re easy to pull, with shallow roots, never much bothering me before. But it turns out these clumps–Little Western Bittercress–are edible! Suddenly, those ubiquitous weeds become less pesky. Thanks to the writings of fellow food blogger (and Master Gardener) Culinaria Eugenius, I was finally able to identify this spicy-sweet greenery. This Oregon State site made me even more confident that I’d identified it correctly. Bittercress: what a marvelous little plant, a peppery, mustardy, watercress-like Brassica relative. Tiny micro-greens that look and taste just like ones chefs pay a fortune for, an otherwise nuisance growing for free. I wonder to what degree our tastes can guide us in discerning what weeds are o.k. to eat. The bittercress felt right, radish crisp. Dandelion, on the other hand, is so bitter I would assume it poisonous if I didn’t know otherwise. But its tannic flavor mellows with fat and blander flavors, like potatoes or a mild cheese. The greens were stunning in this pizza with fontina cheese. And Mark Bittman recommends them in his Green Mashed Potatoes, which Culinaria Eugenius also recommended. I whipped up a batch, but didn’t use enough olive oil or have enough greens: they should match the potatoes in a 50-50 ratio. But I think I’ll save my little bittercress for salads. I want to enjoy this fresh from the garden foraged find raw. Just a tease: first buds in bloom here. Thanks for the mention! The little Western bittercress will grow bigger and will be easier to pluck in the next month or two. But don’t pull it out if you have a garden, because it’s easy to weed and crowds out other weeds that are more of a nuisance. With dandelions, you have to get them very young and only pick the middle leaves. Use sparingly. 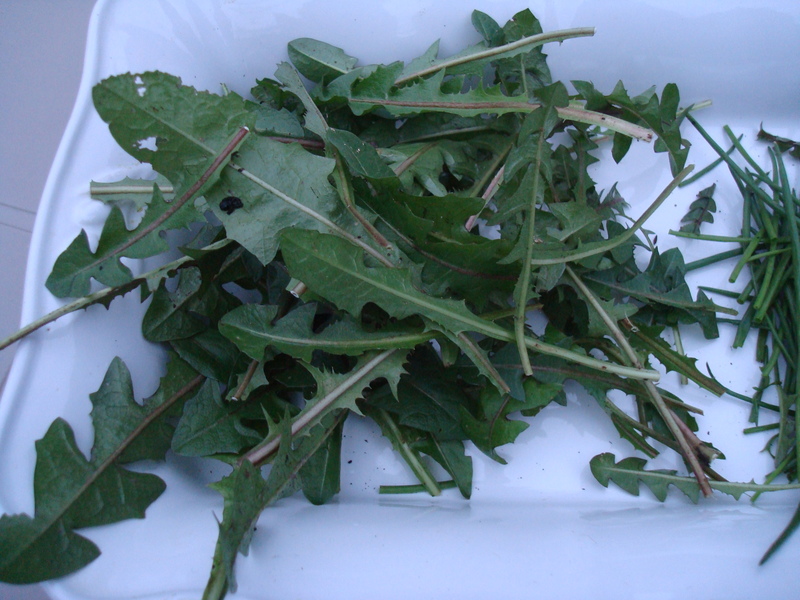 Bittman uses cultivated dandelion greens, which are available now in grocery stores. Cool, good to know on bittercress. I’d also like to try chickweed and miner’s lettuce. Any luck finding those in your yard? Laura, the world is full of weeds you can eat, but you ABSOLUTELY CANNOT judge by taste. Poison hemlock, for example, looks just like a close relative of dill or fennel, but is highly toxic and very often fatal. Thanks for highlighting bittercress – its value beyond taste is the appearance of its ruffly leaves. Don’t let it go to seed, however. I’ve been trying to control it for more than 20 years in my Corvallis backyard – no chance. 🙂 Bittercress is a cold season weed, so only crowds out other weeds at this time of year. Eugenia is correct – pick the center leaves of dandelions well before the plant has blossomed. They’re quite tasty and the deep taproot is said to access minerals throughout the soil profile, so it’s nutritious, too. Miner’s lettuce is usually found on sites that are or were Douglas fir habitat. Thank you for the wise words of caution. I didn’t mean to imply you can judge by taste but just that after sources helped me identify bittercress, I felt even better when I realized it tasted good. The bitterness of the horse chestnut I mistook for sweet chestnuts (will never made that mistake again!) was thankfully repellently bitter. Can someone help me? I know you can eat clover leaves, dandelion leaves… but what other wild weeds and stuff can you eat? I found a different one that grows EVERYWHERE wild in this area… even my backyard. Can someone tell me about it? I will see if I can post a picture of it. It kinda looks like a tomato plant leaf… but leaves are wider and not fuzzy like the tomato plant leaves. It mostly has a single stock and grows about 1 1/2 feet high or higher. It does bloom. It’s little flowers are white. I will send you an email with picture of this plant (without flower)… if you think you might know what it is. Good Article. Just had one question though… what is that plant in the photo at the bottom of the article. I have that growing in my front garden… I keep pulling it up, but if it is eatible… please let me know. And yes… it has that pretty little yellow blossom on it.. when it blooms. That’s it! No doubt. I just don’t know what it is… I live in Houston, Tx. Oh that’s not edible I don’t think. 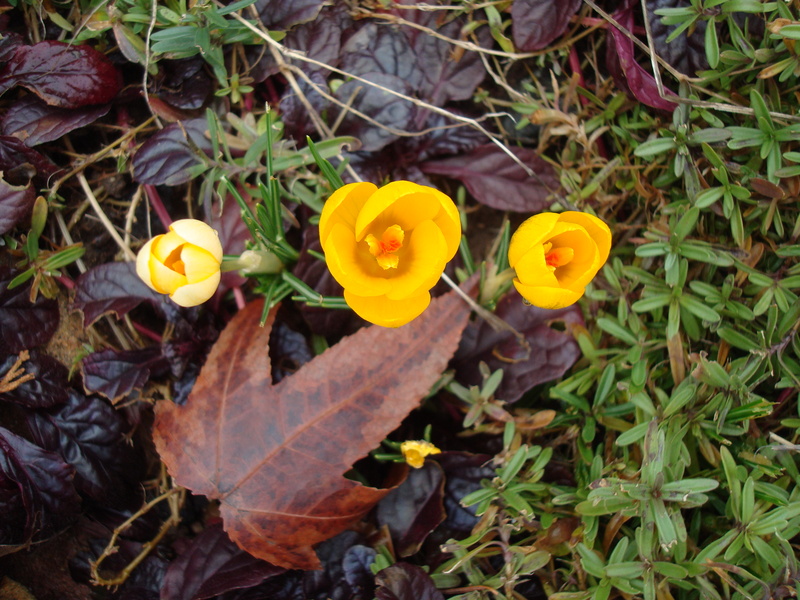 I just included the picture of the yellow blooms because it was the first sign of spring when I wrote this in last January. Please don’t eat any weeds without consulting a local expert first! I’m no expert as you can see! For years I’ve tried to eradicate bittercress from my yard and garden, but I’ve recently learned of its edibility, so now I’ll be less inclined to pull it out … one less chore to do in the spring. It tastes very much like watercress, but is not as ‘hot’.